Irreverent Scottish craft brewer BrewDog, who will launch its American facility in Ohio in 2017, announced today that it plans to open a BrewDog BrewPub in any American city where at least 500 people invest in its Equity For Punks USA crowdfunding offering. By launching one of its world-famous bars in each city that provides such investor support for the smb craft beer brewery, BrewDog's nationwide U.S. expansion will create local jobs and continue its mission to promote other local craft breweries across the United States. 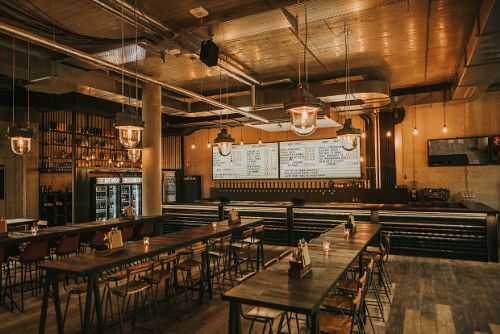 BrewDog's bar division has been a huge success worldwide, with popular locations ranging from Tokyo to Sao Paulo, London to Barcelona and Hong Kong to Rome. Every BrewDog bar, including the first U.S. location at the soon-to-open 110,000 square foot brewery in Columbus, Ohio, are places where beer and food lovers can indulge in everything that is great about craft beer. With knowledgeable staff that are passionately evangelical about the world of craft beer, "Beer Schools" to educate customers about beery nuances, and great food paired perfectly to the wide selection of beers they offer, BrewDog bars are craft beer cathedrals for locals and tourists alike, acting as outposts for the brewery's overarching mission across the planet. "Our BrewDog bars are beer meccas, hop temples and cathedrals of malt. We strive to spread the word about awesome craft beer in our bars, embracing the local beer scene and providing a platform for the world's best beers to be enjoyed in an inimitable setting." The first 500 investors in each city will gain access to exclusive previews of new offers and launches at their local bar before anyone else. "With on-site brewing in each U.S. BrewPub, we can take our bar concept to another level as we brew the beer on site as well as serve brews from like-minded breweries – the beer we offer will be as fresh as possible every single time. We're already experimenting with some awesome recipes before we've even set our sights on specific cities, and this is your chance to help shape those decisions for yourself." Founded in 2007 by two humans and one dog with a passion for craft beer, BrewDog has grown into an international sensation by turning traditional business finance on its head with its Equity For Punks crowdfunding initiatives in the U.K., Europe and now the U.S. BrewDog has recruited an army of 50,000 Equity Punks who have invested in its craft beer revolution, and have helped BrewDog to secure distribution into more than 60 countries, and grow a business that now employs more than 600 people worldwide. To help finance its U.S. expansion, in August 2016, BrewDog started its Equity For Punks USA crowdfunding offering, which received an overwhelming $1 million in the first three days of launch. Equity for Punks USA will be open until February 2017, and prospective investors can visit EquityForPunksUSA.com to find out more and buy shares in BrewDog's U.S. enterprise. Since 2007 BrewDog has been on a mission to make other people as passionate about great craft beer as we are. 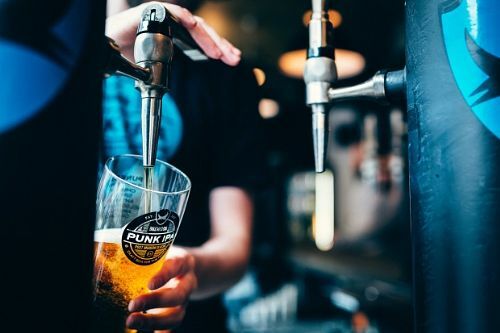 From the Headliner series, which includes bold, uncompromising pack leaders like the flagship Punk IPA, to the Amplified range (beer, but turned up to 11), BrewDog creates beer that blows people's minds and has kick-started a revolution. Cofounders James Watt and Martin Dickie shook up the business world in 2010 with the launch of pioneering crowdfunding offering Equity for Punks, an initiative that has seen the company raise $35 million worldwide, taking more money through equity crowdfunding than any other company on record. The funds, and the army of punk shareholders (50,000) enabled the Scottish craft brewery to scale up without selling out. With more than 45+ global bar launches, export into 60 countries, and a brand new brewery in Ohio opening in 2017, BrewDog continues to take the craft beer revolution stratospheric, whilst continuing to push the boundaries, invest in people, put the beer first, and champion other smb breweries in its venues.